President Donald Trump may have weighed in directly as his lawyers crafted an initial response to news reports that his top campaign aides met in Trump Tower with Russian emissaries during the 2016 campaign, his son Donald Jr. said during his interview with the Senate Judiciary Committee. That first public response, according to documents released today, said the focus of the meeting was “adoptions” and failed to mention it came after the Russians had promised to deliver “dirt” on his Democratic rival, Hillary Clinton – an omission that has become a topic of interest to Special Counsel Robert Mueller. Trump Tower in Manhattan, Oct. 8, 2016, in New York. Trump Jr. later told the senators that he never mentioned to his father he was going to hold the meeting and did not think he talked with him about it immediately afterward. “I wouldn’t have wasted his time with it,” he said. The disclosure was included in the roughly 2,500 pages of interview transcripts and other documents released by the Senate Judiciary Committee this morning providing new inside accounts of the now-infamous Trump Tower meeting between top campaign aides to Donald Trump and Russian emissaries promising damaging political “dirt” on his Democratic rival, Hillary Clinton. The newly released Senate interviews provide the most detailed look to date into what happened at the June 9, 2016 meeting in the offices of Trump’s son, Donald Trump Jr. Sen. Chuck Grassley, the Republican chairman of the Judiciary Committee, decided earlier this year he would permit the release the 2,500 pages of transcripts, a decision welcomed by Democrats. “Let’s get them out there for everyone to see,” Grassley, R-Iowa, told reporters in January. Donald Trump Jr. said he welcomed the chance for the public to review his testimony. In this Nov. 14, 2016 file photo, Jared Kushner, son-in-law of of President-elect Donald Trump walks from Trump Tower, in New York. The planned gathering occurred two weeks after then-candidate Trump locked up the Republican nomination. 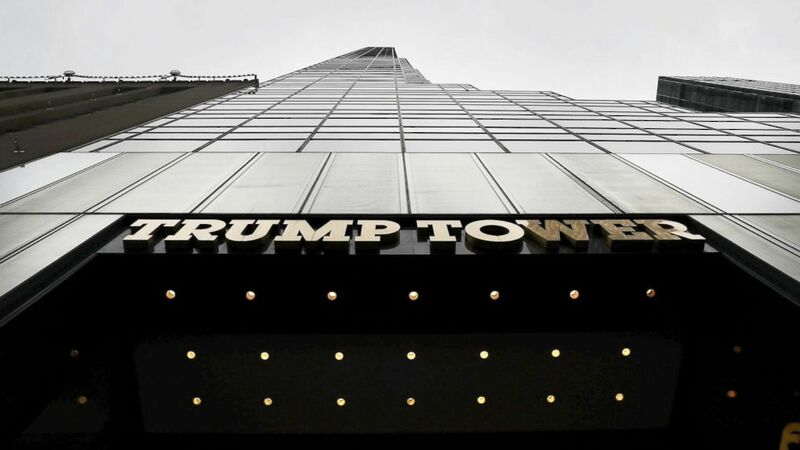 Donald Trump Jr., son-in-law Jared Kushner and campaign chairman Paul Manafort all gathered with a Kremlin-connected lawyer and her entourage in Trump Tower in Manhattan after being promised damaging political “dirt” on Hillary Clinton. The June 9 meeting quickly emerged as a key early focus of special counsel Robert Mueller‘s investigation into Russia’s election interference. It was initially pitched to Trump Jr. in an email from music publicist and former tabloid reporter Rob Goldstone who reached out at the request of Russian pop star Emin Agalarov, who befriended Trump when his father agreed to sponsor the 2013 Miss Universe pageant. The Agalarov family is prominent in Moscow development circles and holds close ties to Russian President Vladimir Putin. The Russian lawyer, Natalia Veselnitskaya, told the Senate in written answers to question that she had no idea whether Trump Jr. knew her background. “Whether Mr. Trump Jr. knew anything about me and my name is unknown to me,” she said. In this Jan. 18, 2017 file photo Donald Trump Jr., stands in an elevator at Trump Tower in New York. Veselnitskaya later revealed in an interview on NBC and in emails obtained by ABC News that — contrary to her earlier denials of Russian government ties to Senate Judiciary Committee investigators — she is, in fact, closely linked to top Kremlin official Yuri Chaika, the prosecutor general. The revelation raised new questions about the purpose of the June meeting, which Trump Jr. initially explained away as being merely about Russian adoptions. Numerous questions have swirled around the controversial private meeting since it first came to light, particularly after the eldest Trump son’s shifting stories about the purpose of the meeting after it became known to reporters. The first reports about the meeting, initially in The New York Times July 8, 2017, sent off shock waves because it was the first known private meeting between Russian nationals and Trump officials during the campaign. When Trump Jr. first found out about The New York Times story, he said the meeting was about adoptions and mentioned nothing about a promise of political dirt on his father’s political rival. Trump Jr. then said the Russian lawyer turned the focus to Russian adoptions. President Trump and his staff have insisted he was not involved in the meeting, but the Washington Post reported in late-July 2017 that the president dictated his son’s first misleading statement about the meeting to the Times, saying the meeting was about adoptions and not campaign-related issues. ABC News first reported that Mueller sought an interview with Corallo afterward. He then went on Fox News’ Sean Hannity show with something of a mea culpa, saying, “’In retrospect, I probably would have done things a little differently,” in reference to the meeting. Along with Veselnitskaya and her translator, Anatoli Samochornov, Russian-American lobbyist Rinat Akhmetshin, Goldstone, and Russian businessman Kaveladze attended the meeting.